We applied for my visa to Bolivia in Cusco, Peru. Normally when you apply for a visa outside your country of residence you need to go through hell and high water just to prove that you’re not up to something funny. Not with the Bolivians, they get a A+ for being really cool! The process itself was really simple. Excellent! So armed with all these documents, we headed to the consulate in Cusco. We took a 4 sole (~ USD 1.5) taxi ride to the consulate. The lady at the reception was really nice and asked me to fill out some forms while she went inside with my passport. I wasn’t done filling the forms by the time she got back, but the visa was already stamped in my passport! Note: It is also possible for Indians to get visa on arrival at La Paz airport. We had spoken to the airport officials in March 2012 and were informed that the visa on arrival costs USD 55. However, since we were doing a land crossing we decided to get the visa in advance as it is free and takes barely 5 minutes to get. 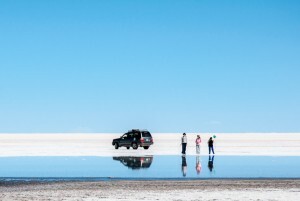 Wow, you’re going to the salt desert? please take a lot of photos and make a lot of videos!!! Cool. Got it !! I posted on the other thread asking about the Bolivia visa. Can we get Chile Visa in Bolivia. You’d have to contact the Chilean embassy in Bolivia to make sure! Hi Pawar! All the details are in the article above. It’s pretty easy to get a visa.. no worries! Me and my friends are going for the World Cup in Brazil next year in June. We would be going to Peru (Lima/Cusco), spending a 3-4 days there and then from there would be heading to Bolivia (most probabloy land crossing). 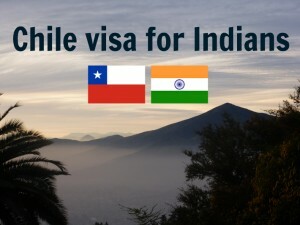 What I need to know is whether we can obtain the Bolivian Visa in those 3-4 days we are there (or hopefully within a day) or should I apply for it in India itself. Yes, the visa usually takes a few hours. Mine was done within 15 minutes in Cusco as I mentioned in the article. Alternately you can always fly into La Paz airport and get visa on arrival. Enjoy the world cup! I carry an Indian passport, and I was looking for some info about Bolivian visa. I talked to the consulate in Canada and they mentioned that indeed the visa is free but I need to get a yellowfever vaccination for which I have to pay about 120$ in Canada, but going through your post it suggests that its easy to get a bolivian visa in Cuzco, as I will be passing through Cuzco doing the Inca trail on my way to La Paz. Sorry, I forgot to ask one thing. Copy of the credit card? Yeah, the bolivia visa in Cusco was absolutely painless as I described in the article. Copy of the credit card just means a photocopy. It’s sort of like “proof of financial ability”. Need urgent information.. Does anyone know what is the working hours for the Bolivia embassy at Cusco? Are the open on saturday? Thanks very much. Hi Shweta. We do not know. Hiii zara I m saadat from india I want to visit bolivia nd then visit to peru for seeing places wht is the process for it? Can I get arrival time ? Is Bolivia Safe country for Indian/Foreigners? I have got a 1 year contract to work in Bolivia. I am planning to also get my wife with me. Is it safe for my family? Congrats on your job in Bolivia! We felt generally safe in Bolivia, but we have never lived there long-term, so maybe we’re not the best people to advice on relocating there. But we did have a positive and comfortable experience traveling around, if that’s of any help. Hi Zara,Hope you are good. I am in chile since a year and got RUT card(identification card).based on this card, all finance related and things happen here. Do I further require a visa to go for Bolivia? In theory you do not need a visa when flying to Bolivia, only if you arrive by land. In any case, I don’t know about the specifics of the RUT, so it’s better to check with the Consulate in Santiago, just to make sure. Enjoy your trip! Hi, pardon my confusion here. But I thought Bolivia provides Visa on Arrival for Indian citizens. Is that only in case of arrival by air through La Paz airport or can it be availed just at any border crossing? WikiTravel says that Indians do NOT need a visa to enter Bolivia(could alternately mean Visa on Arrival) to stay upto 90 days. And then there is some conflicting information about “Group 2″ countries in other sites. Help! As far as we know, the visa on arrival applies only when you arrive by air. If you cross into Bolivia by land, you still have to apply for the visa in advance. Hi..am looking for peru visa..do you guys know any travel agent who can get me a visa..i tried for visa with one agent here in India but got rejected..
Hi zara you giving nice information about bolivia . I actually intersted to visit in bolivia . Am indian passport holder . Do i need any docunent like .bank balance statenent ect . What is yellow fever . As far as we know, you do not need to present a bank balance statement to get a visa to Bolivia. But it’s already been 2 years since Ashray got his visa, so I suggest you check with your local consulate. Yellow Fever is a disease and, to enter some countries, you may need to have a certificate that proves that you have a vacination against it. 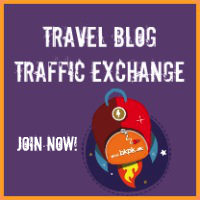 Thank you for your helpful post about the Bolivian visa. Is a Yellow Fever vaccination certificate needed for entry into Bolivia? Hi, i am Indian and i wanna come Bolivia for tourism purpose, any one can help me how can i get visa and which documents we required ? Hi i am interested in getting residency in Bolivia, i am a Indian Citizen living in India. i am planning to settle in Bolivia can you please give me more information on Bolivia residency how to apply. Thanks for all the information on this website. Really helpful. We are planning to fly in to Peru and then, cross over to Bolivia by road for a week and a half. Then, we plan to cross back into Peru on road before we fly out of Peru back home. But I just realized Peru gives only a single entry visa. But we will be entering Peru twice once by flight to begin our trip and then, from Bolivia. So, is this not possible to do? How does this work? Thanks in advance for all the info. Hi guys – I am an Indian citizen and travelling to Miami via Santa Cruz (VVI) airport in Bolivia. I have a 16 hr layover in VVI airport so was wondering if I could get a visa on arrival at Santa Cruz airport to explore the city for a few hours before I hit the sack. Also is it worth exploring with this little time in hand? I am NEPALESE. And I want visa for. Bolivia. I so many time wrote e mail embassy but embassy not Answer to me. So please help me getting visa. Can I get work visa In bolivia? I m indian. I am from india.have indian passport.till date not any visa stamp on my indian passport. This time i m living in india. Not hv been any country. Its necessary usa visa stamp on my passport for getting bolivia visa on arrival. If not than plz guide me how can i get bolivia visa on arrival.tell me abt necessary documents.so i can carry. I am vry confuse abt bolivia visa on arrival for my indian passport. Some consultant said tht you hv to need a visa of usa. Otherwise you cant get bolivia visa on arrival bcoz all flight fly over usa airport. That time you should have a visa of usa.plz guide me. N reply soon. I want to visit bolivia in this november. I just picked up my Bolivia visa. The folks at the consulate were extremely nice and processed my visa in two weeks [apparently a high volume right now]. As an Indian national the visa fee was waived though the visa itself is a curiosity – single entry, valid for 30 days from date of entry. The sticker itself is 2/3 the size of the regular visa stickers and they affixed it on the page behind my Peru visa [maybe to save pages?]. Anyway I wish it was Multiple entry and valid for a slightly longer period – 6 months would have been great. I presume the visa itself is valid in perpetuity. Now onwards to Copacabana! Thanks Guys for the great Info. 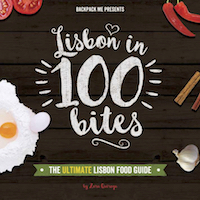 I stayed in south America for more than a month and the info provided in this travelogue by Ashray & Zara is amazing. I frequented this website a lot to get the answer about ‘DO INDIAN PASSPORT HOLDERS have VISA on ARRIVAL’ facility @ La Paz Airport…finally getting a lot of conflicting answers @ Internet , I took the chance and arrived @ la Paz without having applied VISA in advance..
and Guess what , the good news is , that they do have VISA on ARRIVAL for Indians. Availed the facility @ 27th Dec 2015 …so Guys Pack your bags and explore Bolivia. Hi, could you advise me any information about Bolivia visa for Vietnamese? Any response is highly appreciated. The process for Bolivian visa has changed slightly now. The submission has to be online now. They still issue the visa from any consulate in world. Turnaround time is 24 hours. I applied and got it in Rio. And yes it is still free of cost if applied at a consulate. Pls send me all visa details deeply..for Bolivia.. I want visa stickers before I fly for Bolivia.. I am right now in Cuba with limited connectivity. Will send in next 48 hours. Were you able to apply for the visa? 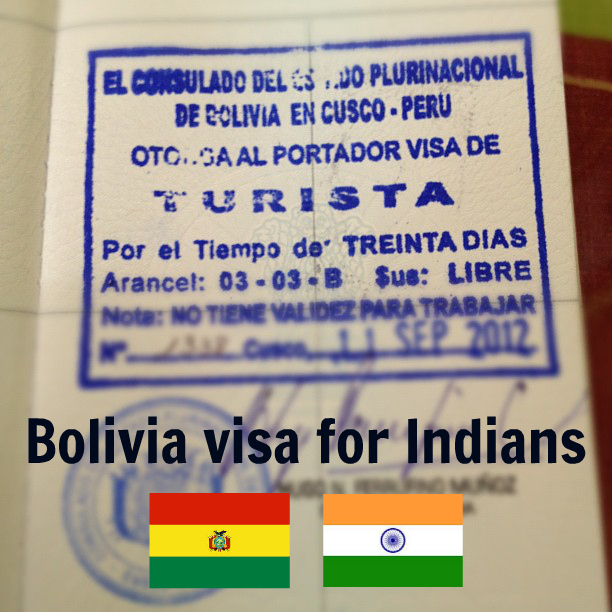 I want to go Bolivia country from India… It’s on arrival visa? 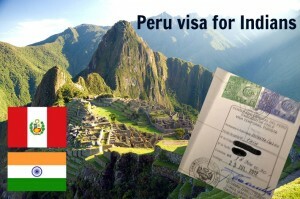 I want to know iam in india and citizen of india so i want to travel to boilivia in coming next month on tourist visa so its better to apply online in india to bolivian embassy rather than taking visa on arrival and i want to know the requirements of applying tourist visa to bolivia from india for indian citizen.